Author: O'Reilly, James P. Set In . . .
India is among the most difficult?and most rewarding?of places to travel. Some have said India stands for "I’ll Never Do It Again." 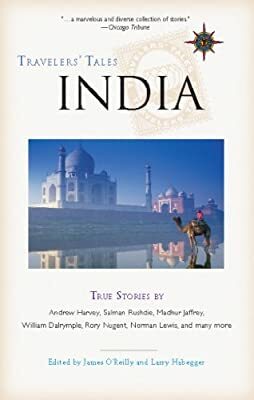 Many more are drawn back time after time because India is the best show on earth, the best bazaar of human experiences that can be visited in a lifetime. India dissolves ideas about what it means to be alive, and its people give new meaning to compassion, perseverance, ingenuity, and friendship. India?monsoon and marigold, dung and dust, colors and corpses, smoke and ash, snow and endless myth?is a cruel, unrelenting place of ineffable sweetness. Much like life itself. Journey to the Kumbh Mela in Allahabad, the world’s biggest party, with David Yeadon and take "A Bath for Fifteen Million People"; greet the monsoon with Alexancer Frater where the Indian and Pacific Oceans meet; track the endangered Indian One-Horned Rhinoceros through the jungles of Assam with Larry Habegger; encounter the anguish of the caste system with Steve Coll; discover the eternal power of the "monument of love," the Taj Mahal, with Jonah Blank; and much more.